Mouse not captured in Remote Desktop session. It is however, possible to remotely manage Hyper-V from within a Windows Vista MMC snap-in upon installation of an optional update. To download the Hyper-V Remote Management Update, follow these links. Upon installation, you will find a ‘Hyper-V Manager’ icon in the Administrative Tools folder on your Start Menu. One of the passive nodes of a SQL Server 2005 cluster had died a sudden death (hard drive and RAID failed under mysterious circumstances) which necessitated a total rebuild of the failed node. So I went ahead and evicted passive node from the Cluster Administrator on the surviving active node. After the server rebuild was over, I configured Windows clustering on the second node using Cluster Administrator. Next, I started setup on the active node (from Control Panel –> Add/Remove Programs –> SQL Server 2005 –> Change). Now that’s very helpful, isn’t it? A few minutes of head-scratching and web-searching yielded what I was missing – I was working on the servers connected via Remote Desktop! For the installation to start successfully on the remote (new) node, it should not have any active remote desktop sessions on it. I went ahead and closed all RDP sessions on the new node being rebuilt using Task Manager (Users tab) and also logged off the session that I was connected to. Another retry from the first node, and setup now progressed without any errors. Thats’ right. 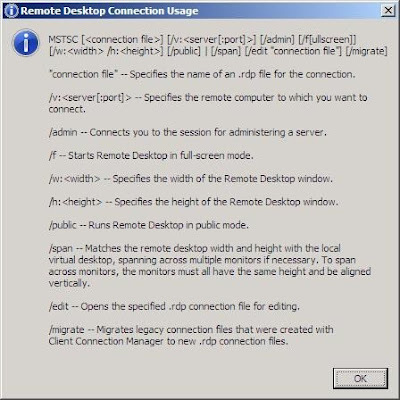 No more /console switch on the Windows Remote Desktop Connection tool, MSTSC.exe, starting from Windows XP Service Pack 3, Windows Vista Service Pack 1 and Windows Server 2008. This is because of the design enhancements in Windows Vista and Windows Server 2008, by virtue of which you cannot connect to Session 0, which is the default session. Running services and user applications together in Session 0 poses a security risk because services in Session 0 run at elevated privileges and therefore can be targeted by malware that attack by attempting and exploiting a privilege escalation. Session Zero in Windows XP/Windows Server 2003: The first user logs in to Session Zero itself. 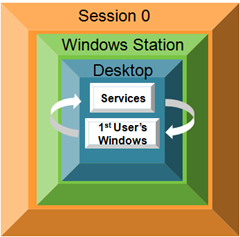 Session Zero Isolation in Windows XP SP3/Windows Vista SP1/Windows Server 2008: First user’s Session is not within Session Zero, a separate session is created, thereby improving security. Since there is no longer the ability to connect to Session 0, the /console switch is no longer required. But, what if I want to connect to Session 0 on a Windows Server 2003/XP or earlier machine using RDP 6.1? Let’s find out. Notice that the /console option is not available, but there is a /admin option. 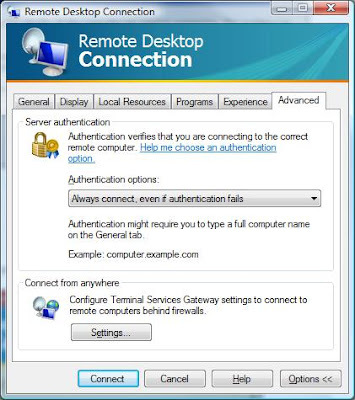 The /admin option lets you connect to Session 0 on a remote computer that doesn’t have Windows Vista SP1, Windows XP SP3 or Windows Server 2008 or later installed. However, if you try to pull the /console switch on a Windows Server 2008 or Vista SP1 machine, you get an error “An unknown parameter was specified in the computer name field“. I hope you found this post interesting – subscribe to my blog to get instant updates on new posts!